Do you need a tree removed? First Coast Trees can take care of that for you! Removing a tree can be very time consuming and dangerous for a homeowner. This is not something that you want to tackle yourself. 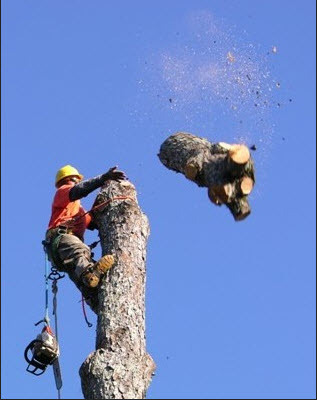 You want an expert to be involved in the tree removal process. We know the best methods for removing all types of tress, large and small. Some factors can make removing a tree more difficult than others. What is the total height of the tree that needs to be removed? What is the condition of the tree? Is it an old dead tree? Or is the tree still living and healthy? Healthy trees can be more difficult and take more time to remove. What is the diameter of the tree? This can give us a better idea of the difficulty in removing your tree, especially if your tree is too tall for you to measure or guesstimate height. What is the location of the tree? Is it near your house, garage or windows? Does the tree encroach near the neighbor’s fence? Or is the tree you’d like removed in the middle of a field you’d like cleared for building? We can do it all! Not only do we do professional tree removal, we can also take care of all your other tree needs. 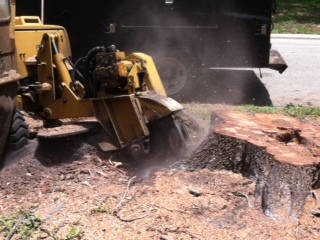 We offer stump grinding as well as wood chipping. Now you don’t have to deal with the ugly remnants of a removed tree. Your home or yard will look great once we’ve finished with our services. First Coast Trees offer free tree removal estimates. You’ll know and approve the cost of the tree removal before we start work, adding peace of mind to our already valuable services we offer our customers in the Jacksonville, Florida area. Did your tree fall during a storm? We can quickly remove it for you. It’s never a good time to have a fallen tree in your yard. We can be at your home or business after hours remove that tree from your property. If you have a tree that you want to get rid of, First Coast Trees can make it happen!